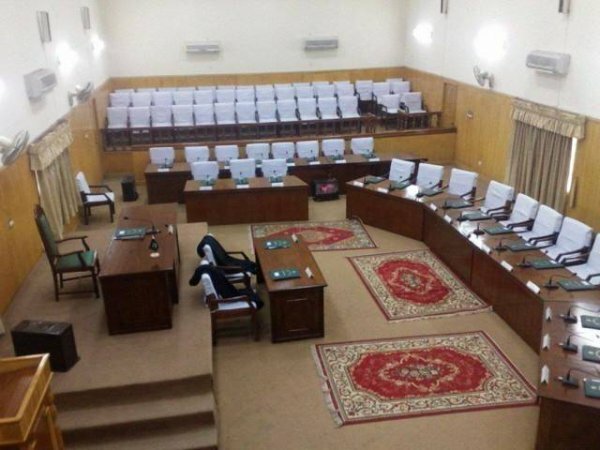 Gilgit-Baltistan activist Baba Jan, of the Awami Workers Party (AWP), is set to file a case with the election tribunal, challenging the rejection of his nomination papers for the GBLA-6 by-polls. The AWP have said they will seek to prevent a representative from one of Pakistan’s major political parties from grabbing the seat. Pakistan’s parties take a strong interest in GBLA elections due to the strategic importance of Gilgit-Baltistan for the China-Pakistan Economic Corridor (CPEC). GILGIT: Baba Jan and his Awami Workers Party (AWP) have resolved to challenge the returning officer’s decision to reject his nomination papers for the GBLA-6 Hunza by-polls. At the same time, mainstream political parties have expedited their campaigns ahead of the elections in a constituency that is the entry point of the China-Pakistan Economic Corridor (CPEC). The constituency is particularly important for ruling Pakistan Muslim League-Nawaz as it was earlier won by its candidate Mir Ghazanfar Ali Khan. Mir was later appointed as governor of Gilgit-Baltistan, replacing Barjees Tahir. Jan’s nomination papers were rejected by the returning officer on grounds that he had been convicted by a court and served a jail term. However, his party is set to file a case with the election tribunal against the decision. The process of awarding tickets for by-elections scheduled on May 28 has commenced. PML-N, Pakistan Peoples Party and Pakistan Tehreek-e-Insaf are also flexing their muscles to grab the seat that fell vacant in Hunza. Mir’s son Salim Khan was one 27 candidates whose nomination papers were accepted by the same returning officer who rejected Jan’s papers. Salim is said to be a bank loan defaulter. In a bid to award ticket on merit, G-B CM and PML-N regional president Hafeezur Rehman has assigned the task to Deputy Speaker Jafarullah, political adviser Shams Mir and the newly-elected G-B Council member Arman Shah. “They will go to Hunza and hold consultations before choosing a candidate for the ticket,” an insider told The Express Tribune. In addition to Salim, potential candidates in the race for the ticket from PML-N include Amin Sher and Iman Shah. Former speaker Wazir Baig and Zafar Iqbal are said to be the potential candidates from PPP. Enraged over the rejection of Jan’s papers, AWP activists have vowed to devise a strategy to at least not let PPP’s Iqbal and PML-N’s Salim win the polls.